Welcome to Dave's Handyman and Construction Services Website! 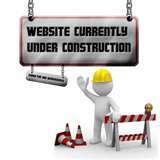 We are currently under construction, but please feel free to look around. And don't forget to stop back in the near future to check out all the updated information. 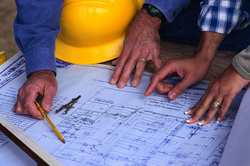 It is my personal mission to provide unsurpassed service, superior craftsmanship and innovative construction solutions. Dave’s Handyman and Construction Services is fully licensed and insured and equipped to offer you a complete range of residential contracting services and because we have such a wide variety of options, we will definitely be able to meet your needs and deliver the satisfaction that you are looking for. We have both the technical expertise as well as the experience to know how to handle all jobs, big or small and we provide clients with a written guarantee to ensure superior quality and service. Dave’s Handyman and Construction Services serves south-central Pennsylvania . Call us for projects in all parts of Pennsylvania ,We can help you protect, as well as increase, the value of your investments by providing timely improvements to your residential property. We take great pride in providing you with top level service and promise complete satisfaction when choosing us for all of your remodeling, building and contracting needs. Our business was founded on values I personally respect - quality, responsibility, integrity, and service. Though traditional, these values also keep us on the cutting edge. We use today's best technology, materials, and methods, while working collaboratively with our clients to create projects that are innovative, energy-efficient, friendly to the environment, on-time, and on budget.